Another album emblematic that heavy metal can feel both 'retro' and like it's covering a patch of new ground simultaneously, the eponymous Substratum debut came a little late in the year for me to court it as much as other 2016 greats by Sumerlands, Spell, and Eternal Champion. But not TOO late, of course, never too late because this Washington state act's music has a timeless quality to it which functions without friction alongside those 80s bands and sounds from which it is partly indebted, which alone should stoke the nostalgia of those who were around at that time listening deep to the rosters of labels like Metal Blade, Roadracer/Roadrunner and New Renaissance, back when 'pure' heavy, speed and proto power metal composed a large percentage of their rosters. 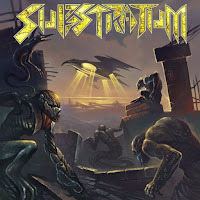 Substratum might not come across as science fiction as its cover artwork implies, but the band has a number of weapons at its disposal which bear mentioning. First, there's a real strength to the rhythm guitar riffing which isn't founded on aggression or technicality, but on nuance and detail and just enough of an adventurous bent that each tune feels like it's bringing something newer than the last. From the raw chugging mid-paced neckbrace riffs to the more melodic maneuvers, each feels fairly fleshed out, while leaving space for some busy and interesting, nimble Harris-like bass lines that don't simply clone the rhythm guitars 100%. Leads erupt with precision, but again we're not dealing with a band that tries to be too cocky or flashy, so they never bite off more than they can chew, and the solos are memorable enough on their own to stand up against the excellent, choppy riffing dispersed over the nine tracks. Add to this a solid, bright, crashing drum mix and the rather organic, not overly processed tone used for the guitars and you've got an album that feels like it could be played right in front of you in a studio session or on a stage. But for many listeners, it's vocalist Amy Lee Carlson who will steal the show, possessed of a rich and bewitching timbre that is both varied and just edgy enough to sound like she means it. It's hard to pin it down exactly, because I can hear elements of everyone from James Rivera and Eric A.K. 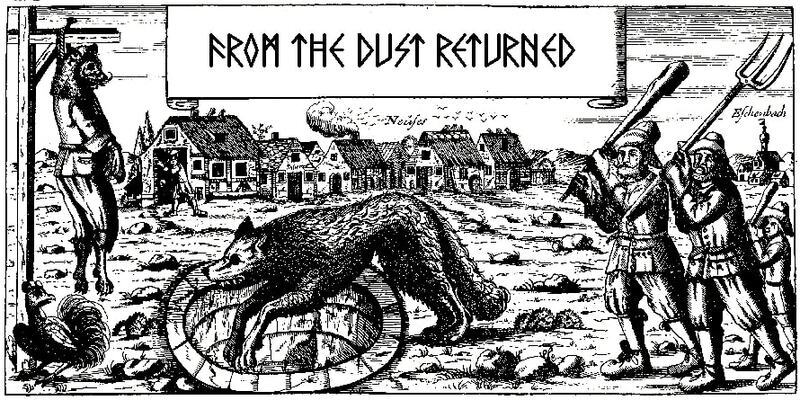 to Ann Boleyn and Debbie Gunn, and she's not afraid to mix up the bite or sustain with which she delivers each verse or chorus. I won't say they're all equally perfect lines, but that's another thing...she's just getting started here, like the quintet as a whole. There still seems plenty of room to grow, but this debut is already a formidable springboard from which to launch future ideas. A great balance of tempo and technique, Substratum is a debut disc which feels 'lived in', like a lot of care was placed into creating something genuine and not just a soulless doppelganger for the sounds that inspired it. That's not to say it's strikingly original or immortally catchy, but it's more than just checking off its necessary boxes, and more than enough to subscribe me to whatever they'll pursue next.